Hindus-Muslim Conflict Will Resolve Through ‘Hindu Way’. Kolkatta. 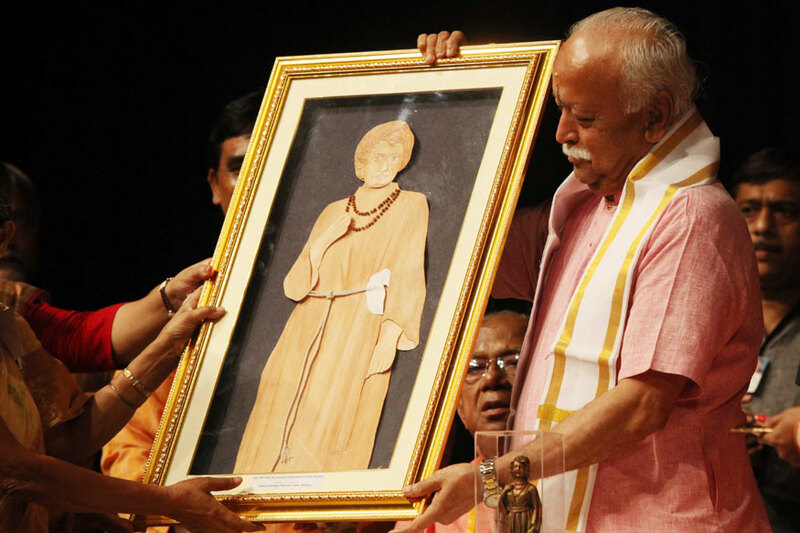 Rashtriya Swayamsevak Sangh (RSS) Sarsanghchalak Dr. Mohan Bhagwat Ji on Tuesday (03rdOct.) said that in spite of a conflict between Hindus and Muslims, one day the two communities will have to find a path of the solution and that path is the “Hindu way”. His visit to Kolkata turned into a controversy after the authorities at Mahajati Sadan – an auditorium run by the West Bengal Government – had denied permission on September 6 to hold the event organised by Sister Nivedita Mission Trust, citing renovation work as the reason. However, the opposition leaders alleged that the government deliberately refused to accept the hall booking because of Mohan Bhagwat’s speech. has increased by nearly five times. Not only the Hindus but several leaders from the Muslim community, have also joined the RSS and have been working extensively on rural development in Bengal. This was Bhagwat’s third visit to Bengal in the last ten months. On January 14 for the first time addressed a Hindu Sammelan at the Brigade Parade Grounds, the largest venue for holding any political gathering in Kolkata. Even then, his visit had courted controversy after the Kolkata Police denied permission for a rally in the city, prompting the Sangh to move Calcutta High Court for approval.